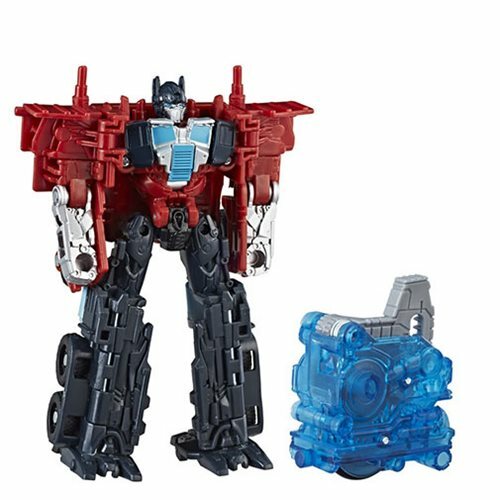 Harness Energon Igniters tech and unleash the power within with this 5-inch-scale Energon Igniters Power Plus Series Optimus Prime figure. Each Energon Igniters Power Plus Series figure comes with the Energon Igniter core needed to activate the awesome driving action in all Energon Igniters figures (each sold separately). Fans can collect other Energon Igniters figures and use the core to unleash the power within. (Core included with Energon Igniters Nitro and Power Series figures only.) When Optimus Prime converts into truck mode, his roaring engine signals a powerful threat to enemies ahead. Fueled up with the power of Energon, the legendary warrior charges forward to defeat the evil Decepticons. Ages 6 and up.